Treat ailments naturally with the CBD Oil 5% from Dr Buddi; a tincture bottle containing a 5% (500mg) concentration of cannabinoid oil blended with organic hemp oil sourced from hand harvested organic plants in the sub-alpine region of Slovenia and Croatia. Unlike THC (the mind-altering component found in cannabis), CBD is the major non-psychoactive component of the plant that is linked to a growing list of medical benefits from calming anxiety to relieving nausea, pain and inflammation. 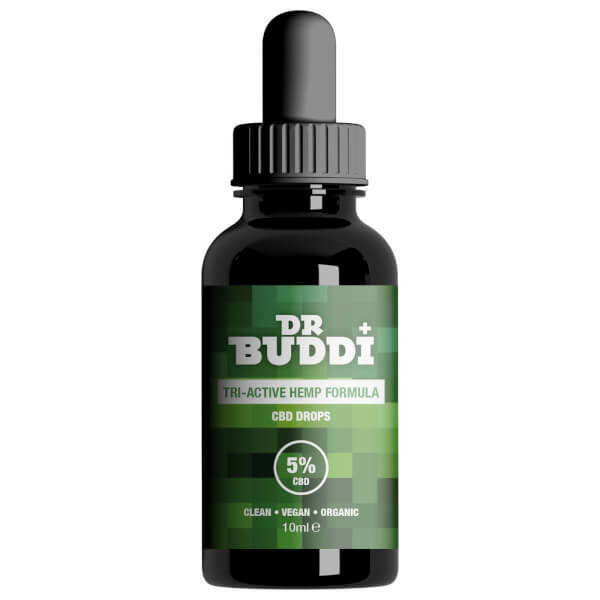 Extracted using a CO2 process to remove excess plant material and chlorophyll pigment to create pure cannabinoid crystals, Dr Buddi’s drops ensures the highest quality product from seed to crystalline for unmatched purity and safety. Rich in flavonouids and terpenes (fragrant essential oils found in plants), the nutrient-packed oil boasts a pleasant taste. Just 2-3 drops under the tongue once a day is needed.